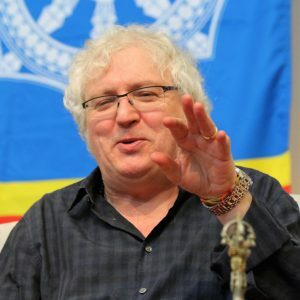 ​In our first major event of 2017, Lama Jampa continued his survey of the Buddhist philosophical schools in chapter four of his book, ‘Rain of Clarity’. Over 130 people heard how the view of a permanent self is the root of suffering and delusion and actually there is nothing to fear in letting go of this idea as this solid, truly existent self was never there in the first place! We then continued our search for the self in all phenomena, using analytical techniques described by such great Indian masters as Chandrakirti. Following the teachings, there was much to reflect on and discuss over lunch. Fortunately, to help navigate through the text, there is a study group on ‘Rain of Clarity’ at Sakya Buddhist Centre every Wednesday evening at 8pm. Anyone who went to the teaching is very welcome to come along and share their questions and reflections to gain a fuller understanding of this guide to the Buddhist path. 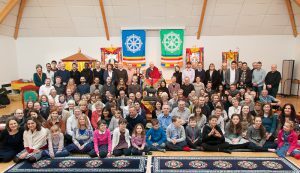 At the end of the morning’s teachings, we all assembled for a group photo in support of the international Buddhist Summit, with their gifts of banners and statue given pride of place. Lama Jampa also performed the Refuge ceremony for those starting out on the Buddhist path. Taking Refuge means relying on these Three Jewels so that they become the main focus of our lives in our search for lasting happiness. You can read more about Refuge here. In the afternoon, Lama Jampa gave the initiation of Gönkar (White Mahakala) or Gönpo Yizhin Norbu, the wealth and protection-bestowing emanation of Chenrezik, originally from the Shangpa Kagyu lineage of Tibetan Buddhism. 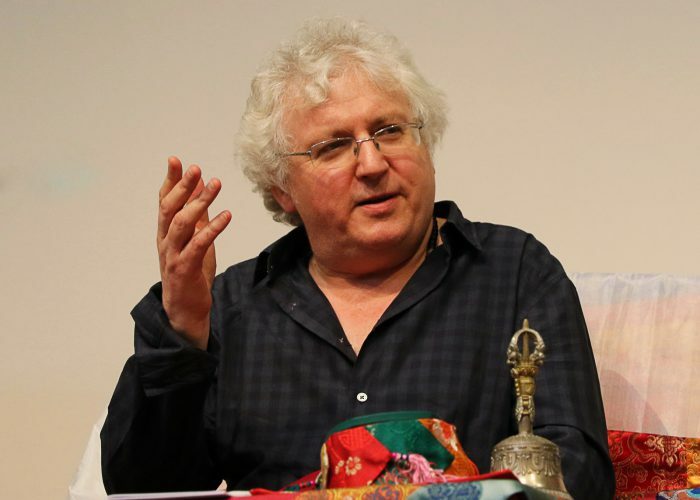 Lama Jampa’s next teaching on ‘Rain of Clarity’ will be on 25 March 2017 in London. A coach will be travelling from Sakya Buddhist Centre – please email us at bristol@dechen.org for details. For more information on all our events in Bristol, visit: http://www.sakyabristol.org/whats-on/calendar/. Sakya Buddhist Centre Bristol (Sakya Thinley Rinchen Ling) is part of Dechen, an international association of Sakya and Karma Kagyu Buddhist centres founded by Lama Jampa Thaye under the spiritual authority of Karma Thinley Rinpoche. Website: www.dechen.org. You can also read more about Saturday’s teachings on non-self at the Dechen blog here.